The name Carnaby Street is synonymous with 1960s "Swinging London" - a phrase coined by Time magazine. Nowadays the area has gone through something of a revival and is once again boasting cutting edge designer talents and trendy street ware. With over 140 shops, bars and restaurants to choose from in the area, it's definitely worth a visit. Shoppers will find rich pickings at urban streetwear shops like Replay, Diesel, howies, American Apparel and Puma. 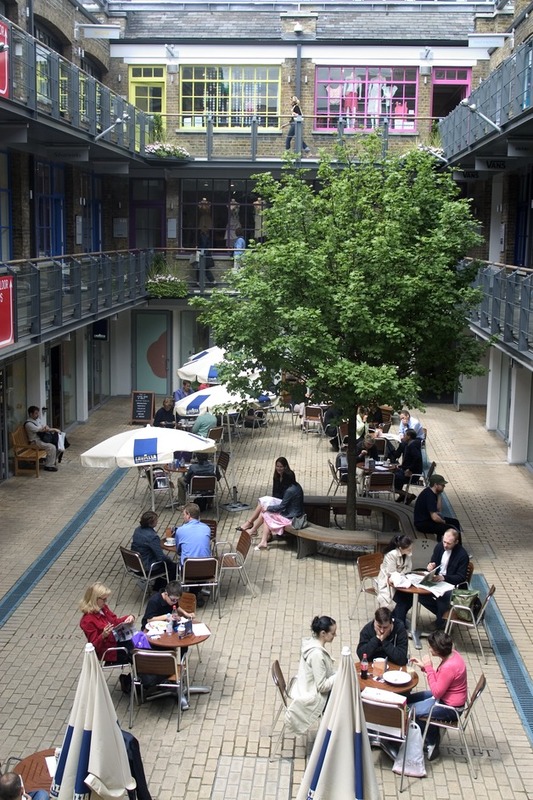 There are also a number of streets in the immediate area around Carnaby Street - notably Newburgh Street which runs parallel, Foubert's Place, and Kingly Court which has three floors of one-off 'concept' shops, cafes and restaurants set around an open courtyard. Carnaby Street is a fantstic place to buy sports, urban and footwear, but there's also a number of fine cosmetics shops - seek out the Cowshed and MAC Cosmetics - as well as a few boutiques selling vintage mod clothing. Altogether very stylish. What are the best dining options near Carnaby Street London? Carnaby Street gyms, sporting activities, health & beauty and fitness. The best pubs near London Carnaby Street. Carnaby Street clubs, bars, cabaret nights, casinos and interesting nightlife. Where to have your meeting, conference, exhibition, private dining or training course near Carnaby Street. From cheap budget accommodation to luxury 5 star hotels see our discounts for Carnaby Street hotels, including The Courthouse Hotel from 93% off.